From Iceland, to Norway, to San Francisco, to Morocco. Xavier and Priscilla love to travel. 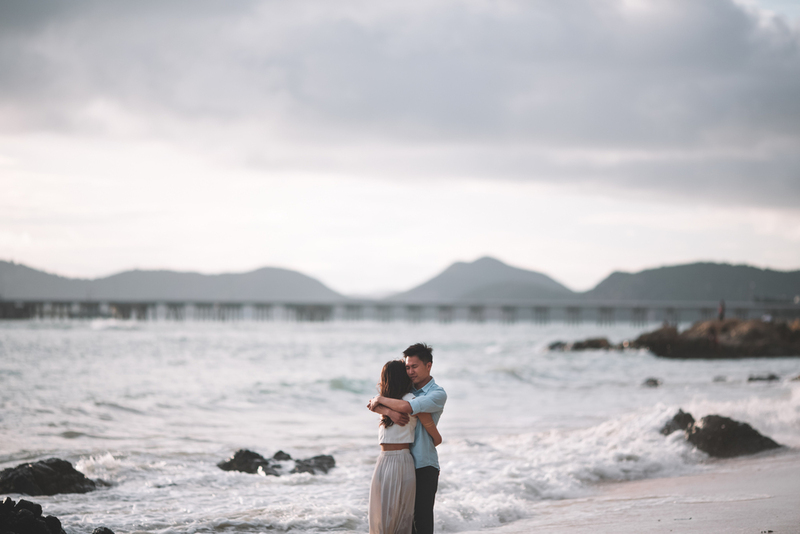 In fact, travel is such an important part of their life they decided that the best way for them to get their engagement photo taken was on a road trip around Chon Buri, Thailand - a beautiful town on the outskirts of Bangkok. There is something about just escaping for a week to a place you have never been. Seeing new landscapes, experiencing nature, hearing the water crash against the giant boulders. 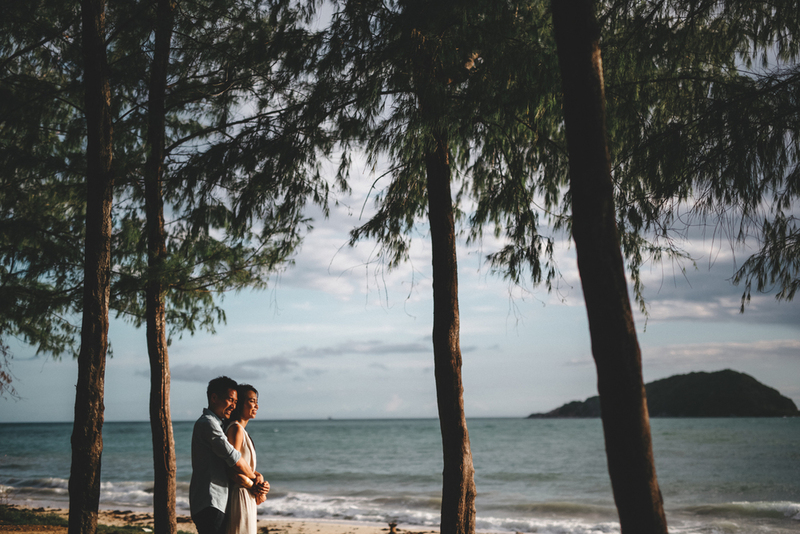 We explored little pockets of the area that showcase the raw beauty of the forest and the sea. Xavier and Priscilla, also photographers, entirely understood my lamentations at the loss of light as the sun disappeared behind a cloud. They also understood as the sun peeked out, my sudden string of unintelligible words followed by frantic pointing – rushing both of them into the spot of light as the shadow beside them ominously grew larger and larger. Thank you for letting me be a part of such a spectacular trip! Bear hugs to you two!